In the earlier episodes I interviewed experienced female models and racing drivers about their involvement in motorsports. There is an apparent lack of female drivers at the top of the sport, therefore I was interested how female drivers see their future and current position in their field. 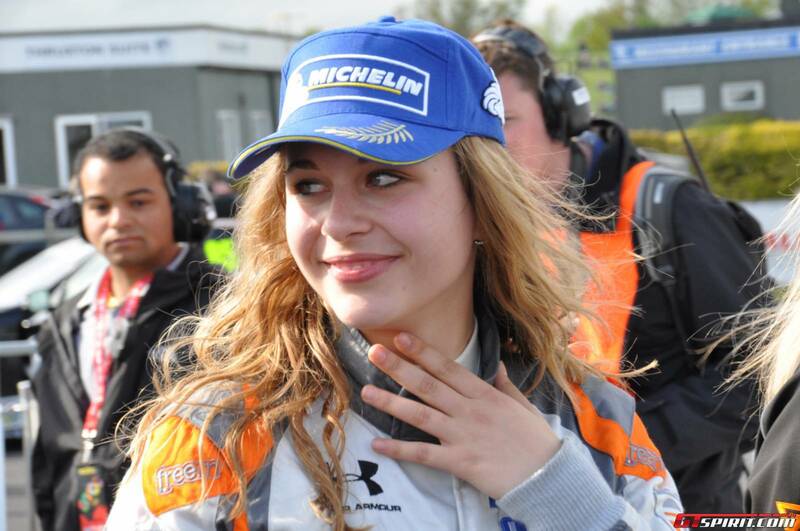 Meet Formula 4 racing driver from Germany, Sophia Flörsch. I am from Munich, Germany. I started racing with karting at the age of five and 2015 was my first year with ‘real’ racing cars. I’ve got one little sister, Laetizia. My hobbies beside racing are swimming, tennis and skiing - whenever I have the time. I started karting at five. I came to the sport through my dad because he was racing earlier as well. At the age of seven, I drove my first races and then I just couldn’t stop anymore. I actually like how everything turned out in my career. Of course I also had some downs but there were of course more ups. I am going to race in the ADAC Formula 4 this season in Germany. I really can’t wait. The best part of this sport for me is that I can compete against boys and men and show how good I am. Of course the racing, the team work and driving over the start/finish line and being first are such great feelings. Well most difficult... probably not be able to drive much at a race weekend, haha. [But I would change] nothing to be honest. It’s perfect how it is. Or, well, maybe just [make motorsports] cheaper and [add] more sessions to a race weekend. I always try to get to bed early in the evening before a [race weekend]. In the mornings I usually go running or cycling to wake up and get some fresh air. Before races I try to find a place where I can be alone and then just try to relax and focus on the race. When I sit in the car I always first put my right glove on and I always say five special words to myself which motivate me. In my opinion [motorsports] are still a men’s sport because there are so less girls but it’s getting better. So we’ll see where the sport will be in some years. But I think that there isn’t any difference between the skills of the boys compared to the skills of girls. Any girl could be as fast or clever. We just need more [of them]. It’s always hard to get accepted by the boys but when you beat them once, it’s easy and they start respecting you. You can really see that more girl are coming up and trying to do motorsports. I am really happy with that and everyone should support that. Maybe it’s because the sport also gets more popular for girls or something. My main goal is to be a Formula 1 world champion. I also want to do my Abitur [i.e. the final exams in Germany] in two and a half years and we will see then. You can visit Sophia’s official site here.